In addition to the physiological requirements children need for success, is the need for them to feel safe at home and at school. Students face a variety of safety risks including bullying and cyber-bullying, violence, and unintentional injuries. The OSPI School Safety Center provides resources to districts and schools to help in the development of high-quality emergency operations and safety plans. Feeling safe is fundamental for a positive learning environment. 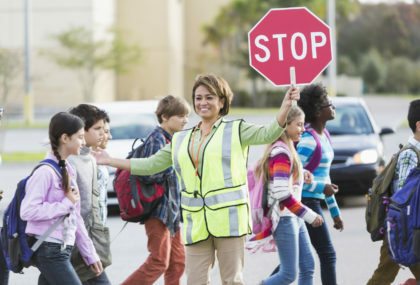 National PTA’s Safety Resources include links to a variety of articles on topics such as injury prevention/sports safety, digital safety, teen driver safety, and violence prevention. The Smart Talk Toolkit sparks conversation between kids and parents about all the devices you use and how to use them responsibly. PTAs can incorporate tools in a PTA meeting or event, or share information with families at the school. Guided by feedback from community members, the federal Health Resources and Services Administration (HRSA) created the resources that would empower even more individuals to address bullying in the community. In partnership with the Federal Partners in Bullying Prevention, HRSA has free training module resources to help local leaders organize an event or town hall on bullying. The Department of Education launched a pair of Safe and Supportive Schools trainings to promote best practices in bullying intervention among bus drivers and classroom educators. You will find those resources and more housed on a new, re-designed and user-friendly Training Center website.